The most sought after Petha nowadays. Favourite amongst young and old alike. We offer Chocolate Petha for chocolate lovers. 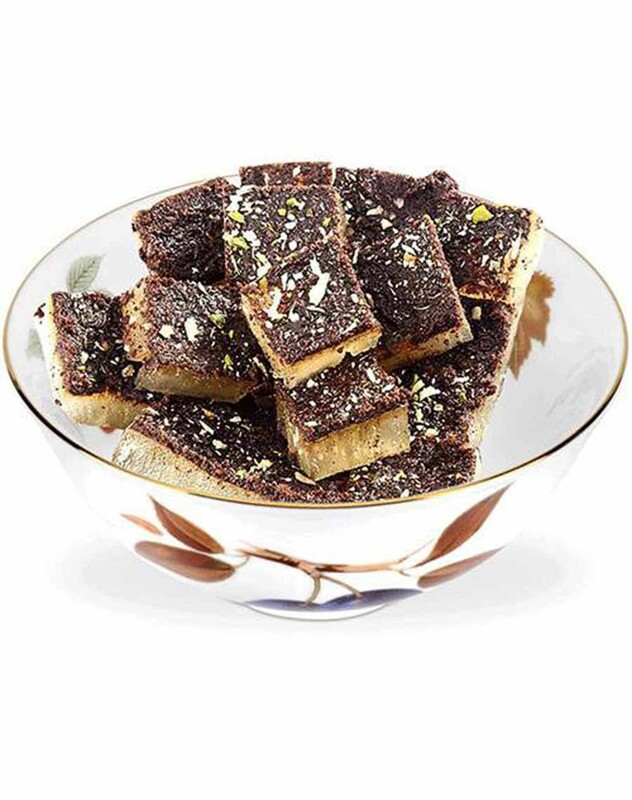 We use chocolate as a topping on the Petha that gives a distinct taste that will lure you to have more and more. With a clean layer of dark chocolate at the top makes it exemplary beautiful in taste and health and is widely delighted by young people. Our Chocolate Petha forms one of the best barfi made out of Petha, and thus is widely liked by all. A juicy Petha dipped in sucrose and chocolate layer over it brings about unmatched quality and purity in taste. It is one of the largest selling varieties of Agra's Petha. This Petha is flavoured with Kewda essence is one of the best variation of Agra's most famous sweet tempting dessert. Not only is it delicious and contains fruit fiber, it is also very healthy. Petha contains iron, calcium, sulfur, and Vitamins A, B, C, and E, as well as protein.